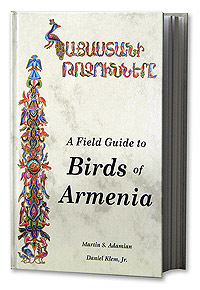 This comprehensive field guide of the birds that can be observed in Armenia is now available in English or Armenian languages from our online store. In the coming year, the Acopian Center for the Environment will be finishing our online version of this field guide, complete with all of the original text and full color plates. The printed book will always be easier to use in the field and be much more color-accurate in its depiction of the birds, so we suggest you purchase a printed copy if you will be observing in Armenia. Butterflies are a significant and essential component of global biomes. They comprise about one percent of all described species on the planet and they provide essential ecosystem services such as pollination and prey for animal predators. They are involved in unique coevolutionary relationships with plants and other insect and animal species. The butterfly fauna of of Armenia , which is located on the crossroad of the Caucasus and Asia Minor, is exceptionally diverse. The first entomological survey in Armenia occurred in the first decade of the 19th century. In the mid-19th century there were about 50 species mentioned, and beginning from 1880, regular surveys were directed and supported by the Grand Duke and Deputy in the Caucasus, Nikolay Mikhaylovich Romanoff. Currently there is no special faunistic publications or the field atlases regarding butterflies of Armenia . The importance of butterflies is not only because of their role as indicators of ecological condition, but they provide aesthetic value and are valuable component s of ecotourism development. For these reasons the need to have a Field Guide to Butterflies of Armenia is critical for the scientific community, nature observers, ecotourists, students, and for environmental education in general. 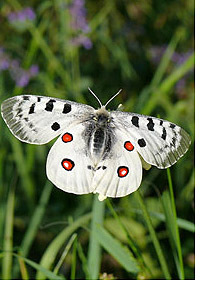 Our project began in April of 2008 and we plan to complete the long-term study of the Armenian butterflies and provide the adequate field guide, which will be used by scientists, tourists, as well as for the environmental education and public awareness: the two things, which are of great help of conservation of the unique nature of Armenia. A Field Guide to Butterflies of Armenia will have field identification guides for all 220 species recorded in Armenia up to date. Among them 15 new species and subspecies will be described. For many of the species the data concerning biology and host plants will by published for the first time. Color plates will show standard and rare morphs.